While self-identifying as an aesthete is dubious, being known as one among your friends is nothing short of complimentary. For the people in your life who appreciate beauty for its own sake, these gifts from our Holiday Collection say, "There's no accounting for taste—but yours will surely bring them joy." Your morning blend (not to mention your midday espresso) should be enjoyed in servingware that matches your drink in elegance. 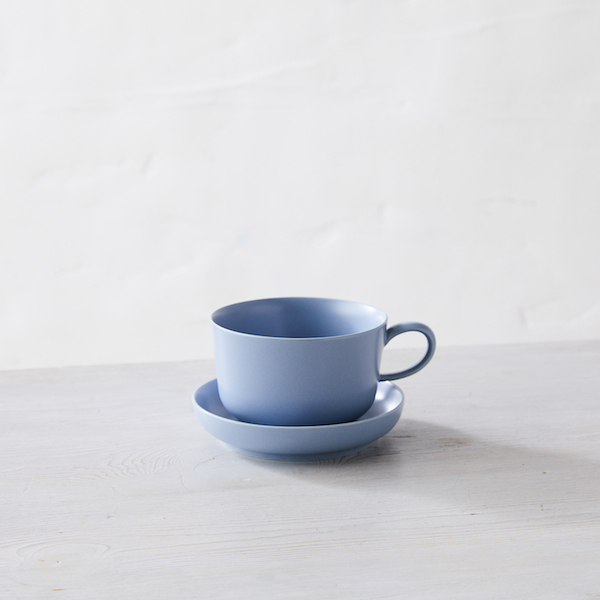 These delicate handmade cup and saucer sets are the antidote to all things standard and mass-produced, just like our coffees. Based in a tradition that goes back a thousand years in Tokushima Prefecture, each of these indigo-stained totes is hand-dyed its own unique shade of "Japan Blue." The Chemex is a simple, elegant machine for making three to six cupsof simple, elegant brewed coffee. Since it's similar to pour over coffee, it's fairly easy to learn the technique needed for a fragrant, clean, and multifaceted cup. What the Aston Martin is on the road, this kettle is in your hands: silky, responsive, and inimitably stylish. With practice, your gift recipient will get a stream of water so controlled that they'll be able to see individual drops cohere like a string of pearls. This book is your guide to recreating the unique and delicious pastries dreamed up by Caitlin Freeman, Blue Bottle's founding pastry chef (and Dainty au Lait visionary). Its show-stopping desserts exhibit the charm and sophistication of works by Andy Warhol, Cindy Sherman, Henri Matisse, Jeff Koons, Roy Lichtenstein, Richard Avedon, Wayne Thiebaud, and many more.